Professional installation results. Big restoration jobs or minor projects. They carry out your ceiling and wall repairs. Knowledgeable and neat work team. Or maybe you have a separation or problem in a wall or ceiling you want resolved. These folks specialize in installing and fixing interior walls and ceilings. If you want to have repairs done, they can get started with that. But they also work on brand new houses and building projects. A large number of their maintenance jobs are due to either accidents, continual rough behavior or damage from water. They will work with the owner or manager of any kind of building. They take on residential or commercial projects. 1. Trucking the gypsum drywall to the job site. 3. Cleaning up and removing trash and unused material. 4. Taping of the seams and applying joint compound to each seam and screw area. Most homeowners simply have the contractor carry out the total job, from beginning to end, although some have them only do a few of those steps. For instance, if you want them to deliver and do the installation, but wait on doing the final finishing job, that’s an option. They can also drive out and finish projects which are already started. Some folks can put up their own sheetrock, but they don’t want to attempt the taping and mudding and finishing part of the project. Normal drywall is built for dry locations, it is not designed for showers and bath spaces, so they have a moisture-proof board they can use in those locations. Plus, they carry a strong and durable cement backer board they employ on those walls where you intend to attach heavy tile on. Things happen. Your repair person understands. Dents and holes get accidentally put into ceilings and walls every day. And plumbing problems wreck lots of sheetrock also. If your ceiling or wall has just a single hole or dent, it’s possible you can try to correct it by applying a drywall replacement patch, which you could buy at any home improvement store. When a property owner applies a patch, sometimes it ends up looking good, but typically it won’t look ideal. It’s harder than it looks. It takes some practice to get it look right. If your damage is in a major room, you might be better off having an experienced specialist handle the patching and texturing. You don’t want neighbors to notice an unsightly patch when they walk into your house. As they are completing the work, they attempt to make sure the new wall or ceiling has the similar finish and texturing as the existing walls. 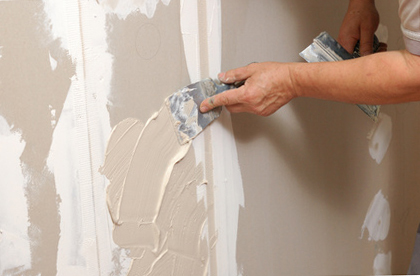 Patching or repairing a solitary hole or trouble area. Getting a number of aged or dented interior walls repaired and all ready for paint. Eliminating and updating water spoiled drywall. Doing bigger scale replacement of a whole room or more. From minor projects to big restoration jobs, they could manage it. Fully unfinished surface – merely taped, suitable for unfinished work rooms or garage areas. Smooth finish – zero extra texture, ready for paint or wallpaper. Simple texture – delivers a little extra dimension. Texture matching – your replacement wall surfaces match up with your old ones. The idea of spraying a ceiling with that popcorn ceiling composition really was popular in the past. Now, most homeowners don’t hold it in high regard. If you would like to remove your current old ceiling texture, they can do that for you. They will replace it with something more current. This company specializes in home interior projects such as wall and ceiling repairs and renovations. They strive to accomplish top-quality projects at a sensible price which most homeowners can afford. 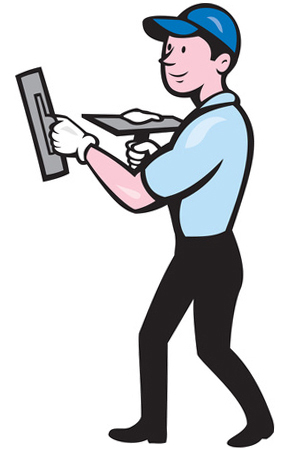 They use only professional gear and safety tools to finish your job quick and safely. And the materials they put into your house are from the top manufacturers. Almost any home remodeling job could stir up a lot of dust. Their team does their finest to keep your dust and mess to a minimum. Once the activity is done, the final step is to carry away the excess material and rubbish they created. They get asked to do a large amount of work in individual residences, but they also work inside retail buildings. They handle assignments for commercial property managers and individual homeowners. Maybe they could work on your job too. They just need to learn the amount of services they will be providing and the size of the rooms that need to be done. They should be able to provide a cost estimate on the phone once they learn a little bit about your project. Once It’s Done, Who is Going to Paint It? Unless you want to do your own painting, they can start right away and get the painting completed as quickly as possible. You may also use a different commercial painter to get your new or repaired walls and ceiling painted, or you might paint it yourself. Anything you want is fine. Are You Working in My King County Neighborhood? A lot of work goes on in Seattle and Bellevue. Work teams head out all around the downtown area, Clyde Hill, Beaux Arts Village, Hunts Point, Enatai, Meydenbauer, Medina, West Bellevue, the neighboring cities of Kirkland, Mercer Island and Redmond, and the outer suburbs of Bridle Trails, Crossroads, Eastgate, Lake Hills, Lakemont, Overlake and Somerset areas. And the downtown zips of 98004 and 98039. They work on homes and businesses all around east King County. This includes the central and downtown areas of Bellevue – Meydenbauer, Beaux Arts Village, West Bellevue, Medina, Hunts Point, Enatai and Clyde Hill and the 98004 and 98039 downtown zips.